Jones, William A. 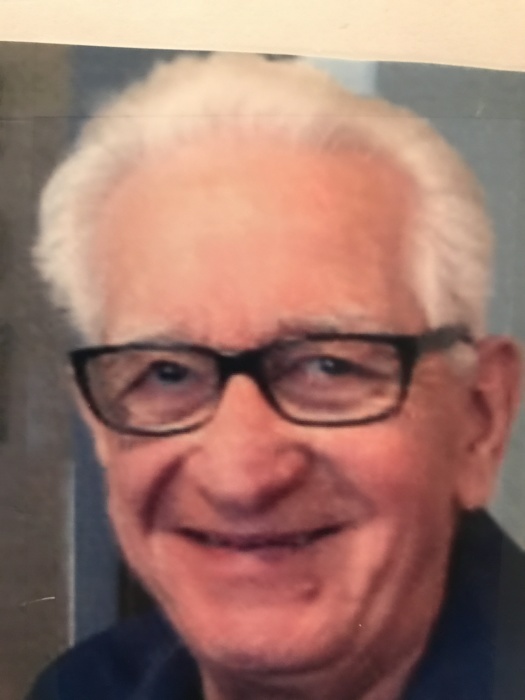 85, Johnstown, passed away November 21, 2018 at Laurel View Village. Born April 12, 1933 in Salix, son of the late William T. and Nellie B. (Fowler) Jones. Preceded in death by brother, Eugene Jones, and nephew, Marvin Jones. Survived by loving wife, Doris J. Parker Jones, Johnstown; children, Lori married to Richard Wirth, Missouri City TX; Beth married to William Shaughnessy, Monroeville; grandchildren, Candice Shaughnessy, NY; and Averie Shaughnessy-Comfort married to Sam, Baldwin. He was a member of P.A.R.S.E., U.S. Army Veteran serving during the Korean War, VFW #155, United Methodist Men’s Group of Grove Ave Church, 60 year member of Grove Avenue United Methodist Church. The journey was made easier because of the caring staff at Laurel View Village and Dr. Ellenberger. Colossians 6 “Let your speech always be with grace, seasoned with salt, that you may know how you ought to answer each one”. Family will receive friends Saturday, November 24th, from 11:30 a.m. until time of service at 2:30 p.m. at KENNEDY’S 219 Ohio Street Johnstown, with Rev. Deb Groeger, officiating. Private burial Grandview Cemetery. Memorial contributions may be directed to Grove Ave. U.M. Church in his memory. www.moskalandkennedyfuneralhome.com.